Happy New Year! I hope you had a memorable holiday season and are ready to start 2018 with a renewed gusto for betting living! I’m excited because just today, after stewing about it for some time, I planned my theme for the year and it’s different than it’s ever been. 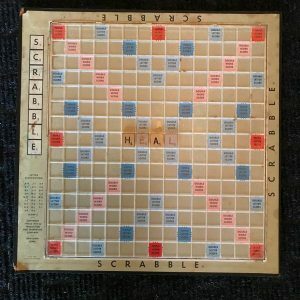 My Mom’s epic Scrabble board (pictured above) that she bought 40 plus years ago with cereal box tops was almost lost in our move out west but luckily the new owners of our previous house found it and returned it to us. I was so happy to be reunited with this irreplaceable piece of our family history. Couple that board with starting to play the Words with Friends app to help me stay connected to my long distance peeps, plus the fact that I just love games, this seemed really appropriate. 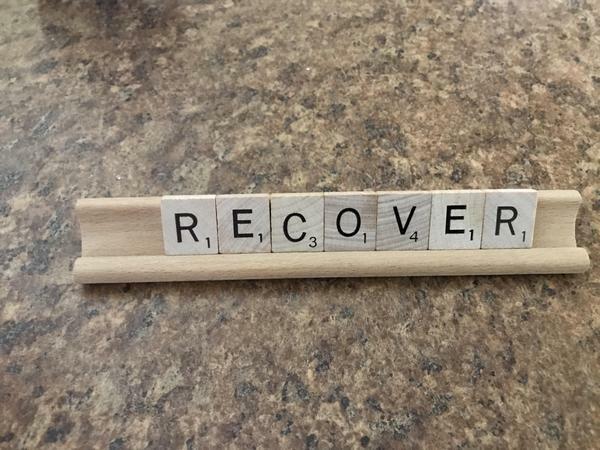 In Scrabble, like life, you have no control over the tiles you get. Sometimes they are great and you can make an awesome word and score a lot of points. Sometimes the opposite is true, you are stuck with all vowels and feel completely blocked. Sometimes you think you can’t make a move, then you move the tiles around and see things from a different perspective and something noteworthy (and point worthy) pops out! Just like life. I suspect 2018 will be like that Scrabble game, some good stuff, some unfortunate stuff, some surprising stuff, some stuff I’ll be stuck with and some that I can turn around and make better. So this year instead of a yearly theme, I’m going to use my Scrabble board and tiles to create new words to focus on. The word may change daily or weekly or monthly depending on what’s going on here. Today, and likely for a few days, the word ‘recover’ is out on the scrabble stand for us to see. As The Hub and I recover from his and her, post-holiday colds -it’s a good reminder that nothing else matters if we are not healthy and to take a little bit of time to do what we need to do to nurture and renew our bodies. Having a word/theme to focus on is a big win when you need a little reminder of your priorities for the day, week, month or year. So whether you have a Scrabble board lying around or not, consider choosing a word to help you focus for 2018. If you want to share it with me, I’d love to hear it! This entry was posted in Never Be The Same, Newsletters, Positivity, Success principles, Wellness and tagged communication, e-news, Inspiration, Motivation, personal growth, Stephanie Staples, Your Life Unlimited. Bookmark the permalink.